The "Big Ed" is to vanish happily from the mind of man. Instead there is to be "Angel Stadium" the way God always intended it to be. I like Art Moreno more and more every day. The Touchstone blog Mere Comments has a follow-up on the article here. Feel free to disagree; it's out of my league. But fascinating. 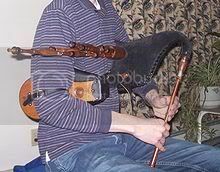 Just another of the many things you can discover when playing pipes for funerals -- if you're not careful. Oh, and by the way, dear advertizers, . . . .
. . . . .you cannot have an "after Christmas sale" now because it is not yet "after Christmas". THIS is Christmas The Christmas season itself is now. Right this very moment as I type, it is the "4th day of Christmas". Christmas is not even remotely over until Epiphany on the 6th of January. And even then, better you wait until after Candlemas on the 2d of February. All that other stuff, you know, "December" as it is occasionally called, that period when you shot most of your advertizing budget, that was Advent. Christmas did not end on December 25th, it began. Gaudeamus omnes in Domino, diem festum celebrantes sub honore beati Thomae Martyris: de cujus passione gaudent Angeli, et colaudant Filium Dei. Let us all rejoice in the Lord, and celebrate this festival in honour of Blessed Thomas the Martyr: for whose martyrdom the Angels rejoice, and praise the Son of God. December 29 is still the feast of the"holy and blissful martyr", St. Thomas of Canterbury, although it is now reduced in the new rite to an "optional memorial". A short version of his life can be found here and a more complete one here. And these four knights aforesaid came to Canterbury on the Tuesday in Christmas week about Evensong time, and came to S. Thomas and said that the king commanded him to make amends for the wrongs that he had done, and also that he should assoil all them that he had accursed anon, or else they should slay him. 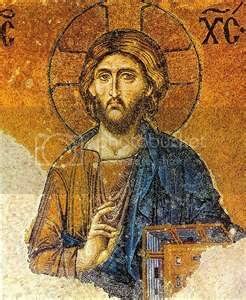 Then said Thomas: All that I ought to do by right, that will I with a good will do, but as to the sentence that is executed I may not undo, but that they will submit them to the correction of holy church, for it was done by our holy father the pope and not by me. Then said Sir Reginald: But if thou assoil the king and all other standing in the curse, it shall cost thee thy life. 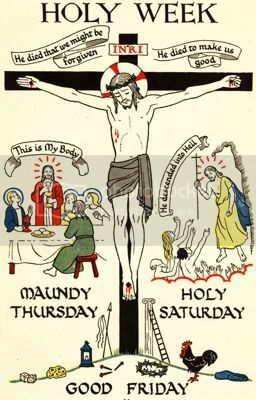 And S. Thomas said: Thou knowest well enough that the king and I were accorded on Mary Magdalene day, and that this curse should go forth on them that had offended the church. 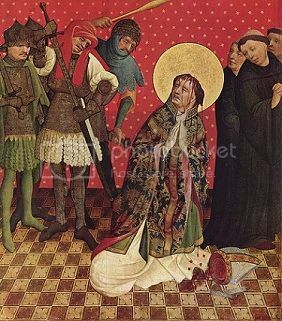 Then one of the knights smote him as he kneeled before the altar on the head. And one Sir Edward Grim, that was his crossier put forth his arm with the cross to bear off the stroke, and the stroke smote the cross asunder and his arm almost off, wherefore he fled for fear, and so did all the monks, that were that time at compline. And then smote each at him, that they smote off a great piece of the skull of his head, that his brain fell on the pavement. And so they slew and martyred him, and were so cruel that one of them brake the point of his sword against the pavement. And thus this holy and blessed Archbishop S. Thomas suffered death in his own church for the right of all holy church. And when he was dead they stirred his brain, and after went in to his chamber and took away his goods, and his horse out of his stable, and took away his bulls and writings, and delivered them to Sir Robert Broke to bear into France to the king. And as they searched his chamber they found in a chest two shirts of hair made full of great knots, and then they said: Certainly he was a good man; and coming down into the churchward they began to dread and fear that the ground would not have borne them, and were marvellously aghast, but they supposed that the earth would have swallowed them all quick. And then they knew that they had done amiss. R/. Jacet granum opressum palea, justus caesus pravorum framea. V/. Cadit custos vitis in vinea, dux in castris, cultor in area. R/. The grain of wheat lies smothered by the chaff, the just man slain by the sword of sinners. + Changing his house of clay for heaven. V/. The vine-keeper dies in his vineyard, the general in his camp, the husbandman on the place of his toil. And made free by the blood he shed upon the Cross. Is blood-stained by the murder of his Shepherd. Is purpled with the stream of holy blood. Carried into the garner-house of heaven. An excellent way to start doing that is to read this post of the same name on Recta Ratio . And then spend some time with the other posts Mr. Fitzpatrick has given us over the Christmas season. I mentioned earlier his selections from Washington Irving. But do browse the rest of his site. This is a really wonderful blog; I'm really sorry to be so late finding it. 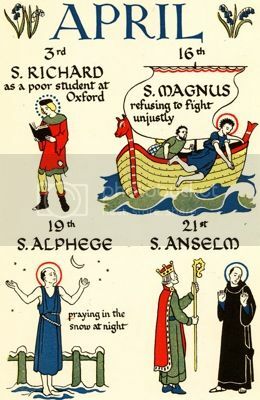 Yesterday alone there were several posts on St. Stephen, the Wren Boys of Ireland and wassailing, and Boxing Day customs. And today there is a precis of the life of the holy Apostle St. John whose feast it is. This is much better than the Christmas issue of any magazine I know of. Thanks to Jerry Pournelle for citing this one. 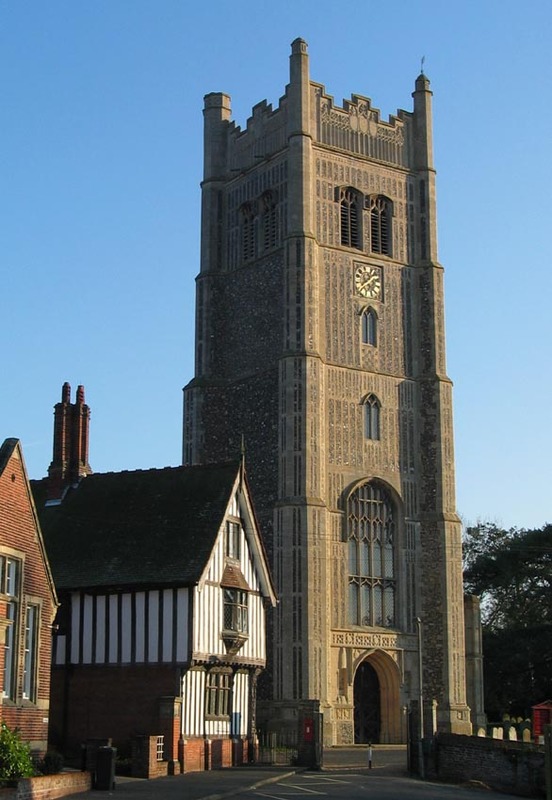 The latest addition to the wonderful "Suffolk Churches" is this magnificent late 15th century church. A nice site for a Christmas visit. The webmaster here has done excellent work creating an historical treasure chest of a site. There seem to be hundreds of pages here; you could get lost for hours. For St. Peter and St. Paul click on the "What's New?" link and then the latest link for "December 11 -- Eye". Be sure and view the rood screen, a much later addition but suitable to its location. Hotels, foreign embassies, coalition headquarters and patrols were targeted by bombs that killed four U.S. soldiers and six Iraqi civilians. O Lord God of Hosts, stretch forth, we pray Thee, Thine almighty arm to strengthen and protect the soldiers of our country. Support them in the day of battle, and in the time of peace keep them safe from all evil; endue them with courage and loyalty; and grant that in all things they may serve without reproach; through Jesus Christ our Lord. Amen. -- the old B.C.P. "On Christmas Eve there was a lull in the fighting, no firing going on at all after 6 p.m. The Germans had a Christmas tree in the trenches and Chinese lanterns all along the top of a parapet.Eventually the Germans started shouting, "Come over, I want to speak to you." 99 years ago tonight World War I was the fourth month of what would turn out to be its four year duration. And on that first Christmas Eve of the war, the soldiers fighting in what was still a largely Christian Europe, called a truce without consulting their superiors. This website give a short history of The Christmas Truce. "Kristin let herself into the cold, deserted house and found the key to the church. Then she paused for a moment. It was very slippery, pitch dark, windy, and rainy. It was reckless of her to go out at night, and especially on Christmas Eve, when all the evil spirits were in the air. But she refused to give up—she had to go to the church. 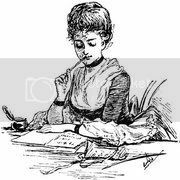 "In the name of God, the Almighty, I here proceed," she whispered aloud. Lighting her way with the lantern, Kristin set her feet down where stones and tufts of grass stuck up from the icy ground. In the darkness the path to the church seemed exceedingly long. But at last she stood on the stone threshold in front of the door. "In the nave a bench stood against the wall. Kristin went over and sat down, placing the lantern on the floor. Her cloak was wet, and her feet were wet and cold. She tried to pull one leg up underneath her, but the position was uncomfortable. So she wrapped the cloak tightly around her and struggled to focus her thoughts on the fact that now it was once again the holy midnight hour when Christ was born to the Virgin Mary in Bethlehem. Verbum caro factum est et habitavit in nobis. "Kristin remembered Sira Eirik's deep, pure voice. And Audun, the old deacon, who never attained a higher position. And their church back home where she had stood at her mother's side and listened to the Christmas mass. Every single year she had heard it. She tried to recall more of the holy words, but she could only think about their church and all the familiar faces. In front, on the men's side, stood her father, staring with remote eyes into the dazzling glow of candles from the choir. "It was so incomprehensible that their church was no more. It had burned to the ground. She burst into tears at the thought. And here she was, sitting alone in the dark on this night when all Christian people were gathered in happiness and joy in God's house. But perhaps that was as it should be, that tonight she was shut out from the celebration of the birth of God's son to a pure and innocent maiden. Her parents were no doubt at Sundbu this Christmas. But there would be no mass in the chapel tonight; she knew that on Christmas Eve those who lived at Sundbu always attended the service at the main church in Ladalm. "This was the first time, for as far back as Kristin could remember, that she was not at the Christmas mass. She must have been quite young the first time her parents took her along. She could recall that she was bundled up in a fur-lined sack, and her father had carried her in his arms. It was a terribly cold night, and they were riding through a forest—the pine torches shone on fir trees heavy with snow. Her father's face was dark red, and the fur border on his hood was chalk-white with frost. Now and then he would bend forward and nip the end of her nose and ask her whether she could feel it. Then, laughing, he would shout over his shoulder to her mother that Kristin's nose hadn't frozen off yet. That must have been while they were still living at Skog; she couldn't have been more than three winters old. Her parents were quite young back then. Now she remembered her mother's voice on that night—-clear and happy and full of laughter—when she called out to her husband and asked about the child. Yes, her mother's voice had been young and fresh. "Bethlehem. In Norwegian it means the place of bread. For that was where the bread which will nourish us for eternal life was given to the people. It was at the mass on Christmas- Day that Sira Eirik stepped forward to the pulpit and explained the gospels in the language of his own country. In between the masses everyone would sit in the banquet hall north of the church. They had brought ale with them and passed it around. The men slipped out to the stables to see to the horses. But on vigil nights, in the summertime before a holy day, the congregation would gather on the church green, and then the young people would dance among the servants. And the blessed Virgin Mary wrapped her son in swaddling clothes. She placed him in the straw of the manger from which the oxen and asses ate. . . .
"Kristin pressed her hands against her sides. "Little son, my own sweet child, my own son. God will have mercy on us for the sake of His own blessed Mother. Blessed Mary, you who are the clear star of the sea, the crimson dawn of eternal life who gave birth to the sun of the whole world—help us! Little child, what is it tonight? You're so restless. Can you feel beneath my heart that I am so bitterly cold? "It was on the Children's Day last year, the fourth day of Christmas, when Sira Eirik preached about the innocent children whom the cruel soldiers had slaughtered in their mothers' arms. But God had chosen these young boys to enter into the hall of heaven before all other blood witnesses. And it would be a sign that such belong to the Kingdom of Heaven. And Jesus picked up a little boy and put him among them. Unless you create yourselves in their image, you cannot enter into the hall of heaven, dear brothers and sisters. So let this be a solace to every man and woman who mourns a young child's death. . . .
"Then Kristin had seen her father's eyes meet her mother's across the church, and she withdrew her gaze, because she knew that this was not meant for her. "That was last year. The first Christmas after Ulvhild's death. Oh, but not my child! Jesus, Maria. Let me keep my son! "Her father had not wanted to ride in the races on Saint Stefan's Day last year, but the men begged him until he finally agreed. The course extended from the church hill at home, down to the confluence of the two rivers near Loptsgaard; that's where they joined up with the men from Ottadal. She remembered her father racing past on his golden stallion. He stood up in his stirrups and bent low over the horse's neck, shouting and urging the animal on, with the whole group thundering behind. "But last year he had come home early, and he was completely sober. 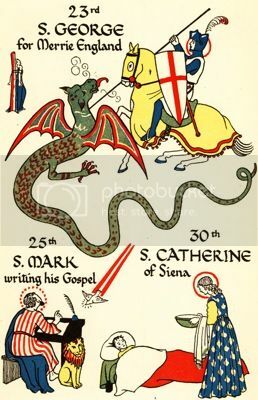 Normally on that day the men would return home late, tremendously drunk, because they had to ride into every farm courtyard and drink from the bowls brought out to them, to honor Christ and Saint Stefan, who first saw the star in the east as he drove King Herod's foals to the River Jordan for water. Even the horses were given ale on that day, for they were supposed to be wild and reckless. On Saint Stefan's Day the farmers were allowed to race their horses until vespers—it was impossible to make the men think or talk of anything but horses." "Oh yes. It was often quite merry at home during the Christmas season. And then there were the Christmas masqueraders. Kristin's father would sling her up onto his back, his tunic icy and his hair wet. To clear their heads before they went to vespers, the men threw ice water over each other down by the well. They laughed when the women voiced their disapproval of this. Kristin's father would take her small, cold hands and press them against his forehead, which was still red and burning hot. This was out in the courtyard, in the evening. A new white crescent moon hung over the mountain ridge in the watery-green air. Once when he stepped into the main house with her, Kristin hit her head on the doorframe so she had a big bump on her forehead. Later she sat on his lap at the table. He lay the blade of his dagger against her bruise, fed her tidbits of food, and let her drink mead from his goblet. Then she wasn't afraid of the masqueraders who stormed into the room. "Oh Father, oh Father. My dear, kind father!" Sobbing loudly, Kristin now hid her face in her hands. Oh, if only her father knew how she felt on this Christmas Eve! "When she walked back across the courtyard, she saw that sparks were rising up from the cookhouse roof. The maids had set about preparing food for the churchgoers." "I went over to the church for a little while," said Kristin. "Do you dare to go out on Christmas Eve?" asked the boy. "Don't you know that the spirits of the dead could come and seize you?" "I don't think it's only the evil spirits that are out tonight," she said. "Christmas Eve must be for all spirits. I once knew a monk who is now dead and standing before God, I think, because he was pure goodness. He told me ... Have you ever heard about the animals in the stable and how they talked to each other on Christmas Eve? They could speak Latin back then. And the rooster crowed: 'Christus natus est!' No, now I can't remember the whole thing. The other animals asked 'Where?' and the goat bleated, 'Betlem, Betlem,' and the sheep said, 'Eamus, eamus.' "
"Do you think I'm such a child that you can comfort me with tales? You should offer to take me on your lap and put me to your breast." "I told the story mostly to comfort myself, Orm," said Kristin quietly. "I would have liked to go to mass too." "Now she couldn't stand to look at the littered table any longer. She went over, swept all the scraps into a trencher and set it on the floor for the dog. Then she found the whisk made of sedge under the bench and scrubbed off the tabletop. "Would you come with me over to the western storehouse, Orm? To get bread and salted meat. Then we'll set the table for the holy day," said Kristin. "Why don't you let your maidservants do that?" asked the boy. "This is the way I was taught by my father and mother," replied the young mistress. "That at Christmastime no one should ever ask anyone else for anything, but we all should strive to do our utmost. Whoever serves the others most during the holidays is the most blessed." "But you're asking me," said Orm. "That's a different matter—you're the son here on the estate." "Orm carried the lantern and they walked across the courtyard together. Inside the storehouse Kristin filled two trenchers with Christmas food. She also took a bundle of large tallow candles. "Kristin and Orm carried the filled trenchers back to the hall, and she set the table. But she had to go back over to the storehouse for food once again. Orm took the trencher and said, a little awkwardly, "I'll go over there for you, Kristin. It's so slippery in the courtyard." "She stood outside the door and waited until he returned. "Then they sat down near the hearth, Kristin in the armchair and the boy on a three-legged stool nearby. After a moment Orm Erlendsson said softly, "Tell me another story while we sit here, my stepmother." "A story?" asked Kristin, her voice equally quiet. "Yes, a tale or some such—that would be suitable on Christmas Eve," said the boy shyly. "Kristin leaned back in her chair and wrapped her thin hands around the animal heads on the armrests. "That monk I mentioned—he had also been to England. And he said there is a region where wild rosebushes grow that bloom with white blossoms on Christmas night. 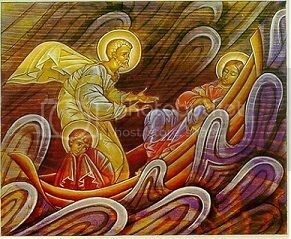 Saint Joseph of Arimathea put ashore in that area when he was fleeing from the heathens, and there he stuck his staff into the ground and it took root and flowered. He was the first to bring the Christian faith to Bretland. The name of the region is Glastonbury—now I remember. Brother Edvin had seen the bushes himself. King Arthur, whom you've no doubt heard stories of, was buried there in Glastonbury with his queen. He was one of the seven most noble defenders of Christendom. "They say in England that Christ's Cross was made of alder-wood. But we burned ash during Christmas at home, for it was the ash tree that Saint Joseph, the stepfather of Christ, used when he needed to light a fire for the Virgin Mary and the newborn Son of God. That's something else that Father heard from Brother Edvin." "But very few ash trees grow up north here," said Orm. "They used them all up for spear poles in the olden days, you know. I don't think there are any ash trees here on Husaby's land other than the one standing east of the manor gate, and Father can't chop that one down, because the spirit of the first owner lives underneath. But you know, Kristin, they have the Holy Cross in Romaborg; so they must be able to find out whether it was made of alderwood." "Well," said Kristin, "I don't know whether it's true. For you know it's said that the cross was made from a shoot of the tree of life, which Seth was allowed to take from the Garden of Eden and bring home to Adam before he died." "Yes," said Orm. "But then tell me ..."
"Some time later Kristin said to the boy, "Now you should lie down for a while, kinsman, and sleep. It will be a long time yet before the churchgoers return." Orm stood up." It would have been a good day to go busking; lots of folks about in a (relatively) good mood. No more shopping to do. The last of it was the, um, festive beverages: some California port for whoever stops by, champagne for The Day Itself, and a few bottles of Chimay Cinq Cents because I love the stuff and it's too expensive most of the time for what is essentially beer. The tree goes up this afternoon. The Beeb will have the Festival of 9 Carols, etc., in the archive by then for listening while tree-trimming. But. When about to leave with my pipes I found I had no more business cards. And then it dawned on me that since The Great Hard Drive Crash of aught three I can't just print out some more cards. I've got to re-create the master and since all the art work that was in the original has now vanished into the aether. . . .I had a different sort of afternoon. I now have new business cards, a later start on Christmas tree trimming, and the citizenry missed out on some pretty fair country piping. I missed posting yesterday. The "O" antiphon with the score and a real audio version for yesterday's antiphon "O Rex Gentium" can be found here. Today's "O" antiphon, O Emmanuel, is here. The Benedictus antiphon for Lauds is tense with anticipation of the feast of Christmas: Ecce completa sunt omnia, quae dicta sunt per Angelum de Virgine Maria. "Behold, all is complete, which was spoken through the Angel to the Virgin Mary!" 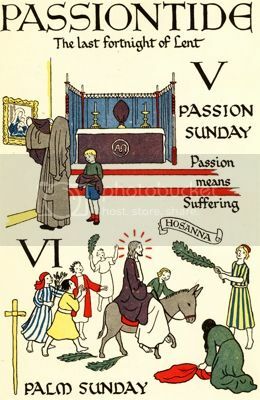 We beseech Thee, Almighty God, to purify our consciences by Thy daily visitation, that when Thy Son our Lord cometh He may find in us a mansion prepared for Himself; through the same Jesus Christ our Lord, who liveth and reigneth with Thee in the unity of the Holy Spirit, one God, now and for ever. Amen. -Collect for the 4th Sunday of Advent from The Book of Divine Worship, the service book of the Anglican Use of the Roman Catholic Church. She's from the 15th century, shown in this illustration playing for a feast. Lately Davey's Mommy's blog has been positively Trappist in its simplicity; The Inn is baroque by comparison. But. That is very much beside the point. If you visit it today you will find that Davey's Mommy is now Somebody Else's Mommy, too. The very best congratulations to her and her husband. And to Davey, too. Having brothers and sisters is a Good Thing. Go here now and say a prayer to St. Gerard for our sister and her new baby. O Great Saint Gerard, beloved servant of Jesus Christ, perfect imitator of your meek and humble Savior, and devoted Child of the Mother of God, enkindle within our hearts one spark of that heavenly fire of charity which glowed in your heart and made you an angel of love. Preserve our sister from danger and from the excessive pains accompanying childbirth, and shield the child which she now carries, that it may see the light of day and receive the lustral waters of baptism through Jesus Christ. Amen. carl singer, Christmastide vocalist: 'He's nivver in when its Christmas for he's a great wee carl singer.' 'When Christmas comes and they want a carl singer he's yer man. He just loves a cumallye.' John Pepper's Ulster-English Dictionary. In Touchstone, be sure to take a look at Calculating Christmas. An historian, William J. Tighe, argues here that those who say that the date of Christmas was taken from a then-current pagan holiday have got it exactly backwards. In fact, the declining pagan religion took the date of the expanding Christian Church's festival of Christmas for its own feast of The Unconquered Sun as a way to top its new rival. Each year our local newspaper prints a letter-to-the-editor. Sometimes it is from the village atheist and sometimes from a very fundamentalist sola scriptura point of view. In either case, the letter delightedly proclaims that Christ was not born on December 25th according to some pamphlet or other the writer had read and we benighted souls are caught in a trumpery fraud. It always seemed to me that the proper response was "So what?" After all, my friend Maggie M. actually was born on December 25th but always celebrated on July 25th. That way she got her own birthday celebration all to herself just like her sisters. And Queen Elizabeth wasn't born on the third Saturday in June but that's her "official" birthday. Less chance of rain. "So what" is still a good response but I look forward to making an additional point this year. Thank you, Professor Tighe. In The Spectator last week the Cardinal Archbishop of Westminster reflects on and affirms the reality of hell. Can you get any more politically incorrect in the ecclesiastical orbit? In the same issue, a wonderful essay by the "appalled, horrified, angered, but never bored" Dr. Theodore Dalrymple on Reasons to be Cheerful. If you're a regular reader of his column you might think this choice of topic for Dr. Dalrymple to be, um, contraindicated, shall we say. But no. Very true and worth applying to one's own life; don't let the light touch mislead. Then again, a man who came to interview me for a publication the other day pointed out that I was never bored. I hadn’t thought of that before, but it’s true: I’m never bored. I’m appalled, horrified, angered, but never bored. The world appears to me so infinite in its variety that many lifetimes could not exhaust its interest. So long as you can still be surprised, you have something to be thankful for (that is one of the reasons why the false knowingness of street credibility is so destructive of true happiness). 21 DECEMBER -- O Oriens. . . .
. . . .Splendor of Eternal Light. The "O" antiphon for today. If you've had enough of my Christmas nyrps*, you might like to visit Mr. Fitzpatrick's Recta Ratio where you can find Washington Irving's "Old Christmas" being serialized here. Considerably cheerier and utterly bereft of inflatable cartoon characters. The link is to the first installment. Scroll up for more. He's has some scrumptious-sounding Christmas recipes displayed also. This time it was John Pepper's Ulster-English Dictionary. I'd forgotten I had it. Pepper can be very funny and he's one of the few who can phoneticize the Ulster accent. And it's actually pretty informative as a dictionary, too. Find that in your Webster's Third International. Or perhaps I mean "anthropological". I'm not always clear on my "-ologies". In any event, I played for two funerals yesterday, both graveside services. One was up on the peninsula and the other about 30 or so miles away toward Orange County. And the seasonal grave decorations were up. And I don't mean a bouquet of flowers left on the gravestone either. These are Christmas decorations. Christmas trees. Even a few five foot tall, fully decorated Christmas trees, although most are smaller. There are wreaths, battery-powered lights, cardboard cut outs of Santa and the reindeer, pots of poinsettias, everything, in fact, that you see outside a California house, now placed on a grave. Well, o.k., no giant inflatable Bart Simpson Santas but that probably has to do with lack of room on a, say, 7' x 4' plot. And Christmas cards. People bring Christmas cards to the grave. (How long do they wait before dropping the recipient from the list when they don’t get one back?) One plot was completely surrounded by three-foot-tall candy canes, perhaps two or three dozen of them, planted all round the plot, and in the center was a plastic Santa with the traditional red hat and black boots but otherwise dressed in a t-shirt and white, polka-dotted boxer shorts. I find this utterly bizarre. Now, the one person I've mentioned it to thinks it was "kind of sweet" and "nice that they want to include their deceased in the celebration." Harrumph. I submit that a Santa in his underwear as a grave memorial is something other than "sweet". But that one is perhaps a sport in the works. The rest I saw were at least something approaching traditional. Whatever. Imagine it: an entire cemetery, awash in plastic Christmas. Nothing short of astonishing. At Christmastime do graveyards throughout the country look as though they’ve been attacked by a deranged Martha Stewart with bad taste and no budget? Or is it just this benighted state? Are there illuminated Frosty the Snowmen adorning graves in, say, Nebraska, too? One can only hope that intense cold and three feet of snow will keep this sort of thing to a minimum elsewhere.
. . . .and Sceptre of the House of Israel. The "O" antiphon for today. "There has been sporadic house-to-house fighting during our door-to-door caroling, but that's to be expected in a Christmas season of this magnitude." The article below was from the (L.A.) Times and is - Lord have mercy on us - for real. This one is from The Onion. and isn't. Probably. Well, it is The Onion but the 21st century is such that it is often hard to tell. But I think that once you factor in the existence of the ACLU you will get a pretty good idea which is which. Or maybe not. I may have missed the ACLU press conference.
. . . .Who stand as a sign for the people. The "O" antiphon for today. "I have the inflatable snowman and a neighbor has the Homer Simpson Santa," he says. "In California, these are necessities. Without gaudy decorations and lights, no one would know it's Christmas." Just the thing to bring the spirit of Christmas to your house: a giant inflatable Homer Simpson Santa. And not just a giant - we're talking 8 - 10 feet tall - inflatable Homer Simpson Santa but also a giant inflatable Mickey Mouse, Scooby-doo, and giant penguin. Boy howdy, nothing says "Christmas" like a 10 foot tall inflatable penguin, does it? You can read about the wonder of it all in the Times this morning. And for a change this article is on the web here even though it's in the Calendar section. Lately, they've been charging for access to Calendar articles. I guess this is just too vital for our cultural awareness to restrict. Of course, as I am in California I don't actually have to read about it. Mary and I are accompanied on our evening walks through the neighborhood by the whir of electric motors keeping Mickey and friends inflated to their full height. And when Conrad Tafoya inflated an actual Grinch balloon in front of his Hancock Park apartment, a little boy ran away screaming in terror at the suddenly towering sight. But everyone else loves it, Tafoya says. Well, not quite everyone. I don't want to be a Scrooge about it, but I'm pretty much of the little boy's opinion. Oh, what the heck. Yes, I do, too want to be a Scrooge about it. I may have to stop now and imbibe a glass of this seasonal cheer to revive my failing spirits. As it were. I saw the Charles Dickens biography/documentary/dramatisation/[insert description of choice] on PBS last night. This was not something the man who wished to continue to worship at the altar of Charles Dickens should have done. As a husband he turned out to be something of a louse and his children claimed to have been afraid of him, though there was no hint of physical violence. Yes, like everyone else I knew about the Ellen Ternan affair, if that's the word for it. Bad enough, but I never knew how obnoxious he was to his wife about it. The film itself took some getting used to. Ackroyd himself narrates it and appears in it. There are current scenes of 21st century London, re-enacted scenes of Dickens' life, re-enacted (invented, I presume) interviews with Dickens' contemporaries, and enacted scenes from his novels. Ackroyd in his modern dress wanders through all of these. (Although, maybe not the novel enactments. Those seemed to be scenes from previously made films.) For the first half hour that format was very distracting but as it continued it made more sense and one got a sense and a feel for what Ackroyd was doing. On the whole, a very well-done production. The sets,scenery, locations were all superb and the acting outstanding. Every once in a while a little dose of reality was needed: no, that's an actor. The real Dickens has been dead for over a hundred years. Geoffrey Palmer as an elegantly smarmy Thackeray is especially worthy of notice.
. . . .and Leader of the house of Israel. The "O" antiphon for today. 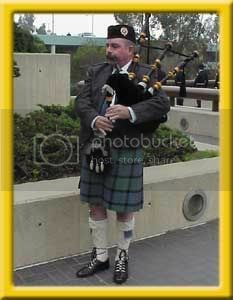 This one is the Irish Air Corps [of the Republic of Ireland] Pipe Band. The picture was taken in Lourdes in 2002. 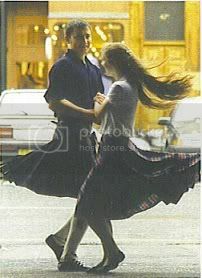 They're wearing the traditional Irish saffron kilt and without a sporran. The "O" Magnificat antiphons for Vespers begin today. Here is the text in English and Latin from the Dominican antiphonary. You can hear it sung by clicking on the real audio link at the top of that page. Blessed Mary of the Angels, O.C.D. Another Carmelite saint today. Blessed Mary of the Angels is considerably less well-known than yesterday's St. John of the Cross. Here is her story from an old volume compiled in 1927 by the Carmelite nuns of Boston and Santa Clara, Carmel, Its History, Spirit, and Saints. "One of the first of the daughters of St. Teresa to be raised to the Altar after her holy Mother and holy Father, seemed to unite in herself the characteristics of both. "Blessed Mary of the Angels was called the Saint of Obedience. She was born in Turin, January 7, 1661, of noble parents. Her father, Giovanni Donato Fontanella, was Count of Santena; her mother's father — still greater glory — was first cousin of St. Aloysius. "God claimed the child for Himself from the first dawn of reason; instinct drew her to the Tabernacle, and she longed for Communion at four years of age. She loved to pray and converse with a little brother who was especially dear to her, while her little sisters were at their innocent play. A devoted nurse often spoke to her of the saints, of their love for God, and their penances in the desert; her heart was so inflamed that she said to her little brother: " Come, let us go to the desert, and we will do penance and think of God." "So they hid some bread, just enough to bring them there, when God would Himself take care of them; and they watched where the big key of the door was placed, that when all were asleep they might take it and fly. In the meantime, they lay down to wait, and alas! fell sound asleep, and when the nurse came in the morning, the hero and heroine were still asleep with the provisions beside them. " Marianne" was in despair, and would not tell her secret, but finally it was discovered to the amazement of all. "When only fifteen, this beautiful soul heard the call of God, and went to the real desert of Carmel, where she became a saint. She had many visions and revelations from heaven. Her macerations and penances were beyond description. She had visits from kings and queens and the great ones of earth who came to consult her and seek her prayers, but her one longing was for humiliation. One day Our Lord appeared to her in company with St. John of the Cross, and asked her what she desired. True to her " holy Father," she gave his own answer, " Lord, to suffer and to be despised for Thee! " "Her Life, published in English for her second centenary in 1917, is full of charm and inspiration; [This is the book referenced by footnote in the original: Blessed Mary of the Angels, by the Rev. George O'Neil, S.J. M.A. R. & T. Washbourne, Paternoster Row, London] one would wish to quote many of its beauties. "Her death was glorified by radiance that seemed to come from heaven. Those present never wearied looking at her. At the hour of the evening Angelus, she received the last annointing, and remained with exhausted body but unclouded soul. All present asked her blessing, and she humbly complied. The Provincial asked her to bless the Carmelite Province, men and women; her humility had its last test, but obedience conquered. " 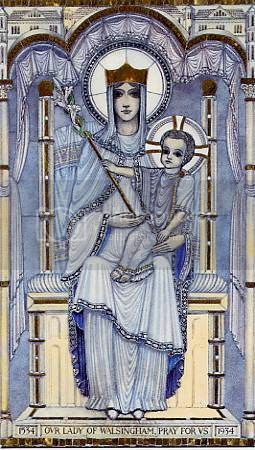 I beg the Heart of my God to bless this Province and keep all its religious true children of our holy Mother St. Teresa." "Later, those near heard her cry for release, " Cupio dissolvi," — " O that I be dissolved to be with Christ," but the end did not come. Remembering her extraordinary obedience, the thought came that she might be waiting for the last command, and Father Raphael approached, saying in firm and gentle tones, " Mother Mary of the Angels, you have lived a life of obedience. Now, if Our Divine Lord wishes you to be with Him, die by obedience; give Him the soul He gave you, and go forth to praise Him in glory." At these words, she made a movement as of one taking flight. She cast one look at her crucifix, so tender, so majestic, she seemed really gazing on the Divine Person of Jesus Christ, and without struggle or shadow of the darkness of death, she breathed her last. "Her passing was a grief to the whole city. " The Saint is dead," they cried with one voice. She appeared in glory to Religious of the Monastery, and miracles took place immediately. King Victor Amadeus, with Cardinals and Bishops, petitioned the introduction of her Cause, and it was begun by Benedict XIII in 1724. Pius VI advanced it, but it was not until February 26, 1865, that Pius IX placed her among the Blessed. The House of Savoy had petitioned in the past, and he who received his cross from the bannered cross of Savoy — " Crux de Cruce " — placed the crown of Saintship upon her head." 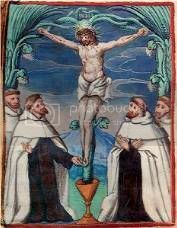 St. John of the Cross' solemnity is celebrated today by the Discalced Carmelites. His day is listed in the calendar as December 14 but as that was a Sunday in Advent, it is transferred to the next day for the Carmelites of the discalced reform. We do not know either the day or the month when he was born. We only know the years: 1542. Juan de Yepes Alvarez was born in Fontiveros, a village near Avila. Dry in the summer, cold and arid in the winter. His parents' marriage was a poem of love. Gonzalo de Yepes, coming from a rich family of Toledo fell in love with Catalina Alvarez - beautiful girl endowed with many human traits but not a penny to call her own. His family opposed vigorously a marriage which would degrade their son to a lower social class. They threatened to disinherit him. He felt that love is more important than money and he did not heed their threats. Gonzalo married Catalina and became penniless. Thus, this young man who had been used to the cozy life of a gentleman, suddenly found himself in a situation where he had to fend for himself. He learnt the art of weaving silk, which was his wife's trade. It was hard work which did not pay well. Indeed, for some time they even had to struggle against hunger. They had three sons: Francisco (1530) , Luis (date of birth unknown), and Juan. When John was six, his father became very ill. He was bed-ridden for two years thus using up all the family's savings. His death meant that life became much harder for the de Yepes family. The familiar situation was made worse by a famine which affected the whole of Castille. It would've made a great Puccini opera. The Catholic Encyclopaedia has a full treatment of his life here. "With what procrastination do you wait, since from this very moment you can love God in your heart." "There is no way to catch in words the sublime things of God. . . .The appropriate language for the person receiving these favors is that he understand them, experience them within himself, enjoy them, and be silent." "At the evening of life, you will be examined in love." "Think nothing else, but that God ordains all. And where there is no love, put love and you will draw out love. . . ."
"Strive to preserve your heart in peace and let no event of this world disturb it. Reflect that all must come to an end." 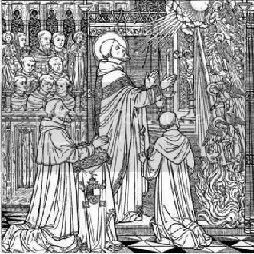 If you attended the traditional Roman Rite Mass yesterday you heard that bit of St. Paul's epistle to the Philippians chanted. After 50 some years of hearing that little sentence it occurred to me that it's something of a puzzle: "Let your modesty be known to all men." Que? If you're going about telling everyone about your modesty, it would seem you aren't all that modest to begin with. Sort of a corollary to the "Humblest man here and proud of it" conundrum. So does "modestia" = "modesty"? My hand missal, quoting from the Douay, seemed to think so. The old Confraternity says "moderation". That makes a little more sense. The egregious NAB says "Let everyone know how unselfish you are." O.K., maybe. But it makes it sound like the Epistle to the Kindergarteners. The RSV-CE says "Let all men know your forbearance." Nice. But now we have the Epistle to the Mortgage Lenders. The KJV agrees with the Confraternity: "moderation". The Jerusalem Bible - a scripture translation which I had liked up until this very moment - said "Let your tolerance be evident to everyone." So we have a central core of meaning lurking in all these translations somewhere but not much agreement on connotations. In the interests of science I have retrieved The Oxford Latin Dictionary from the top shelf - a somewhat dangerous operation; Volkswagen makes automobiles smaller than the O.L.D. Oxford give three definitions. The first is "restraint, mildness, temperateness." The second is "Respect for order, discipline." The third is "(a) Respect for decency or propriety, modesty; (spec. as befitting women). (b) Self-effacement, modesty." If the O.L.D. is correct the Douay, the KJV, and the Confraternity get full marks. The RSV-CE gets a C because I am in a kindly mood, the JB a D-, and the NAB gets indicted under the truth-in-advertising statutes for falsely claiming to be an English translation. After all, the original is in Greek not Latin. Perhaps St. Jerome got it wrong all those years ago. The Greek says "to epieixes" (sorry I can't do the Greek alphabet on Blogger.) I don't have a Greek dictionary and my one (1) semester of koine Greek is 30+ years old and probably couldn't have handled "to epieixes" unassisted anyway. My grades may be very unfair. Maybe - God help us - the NAB got it spot on after all. So I still don't know whether I should be bragging about my modesty. 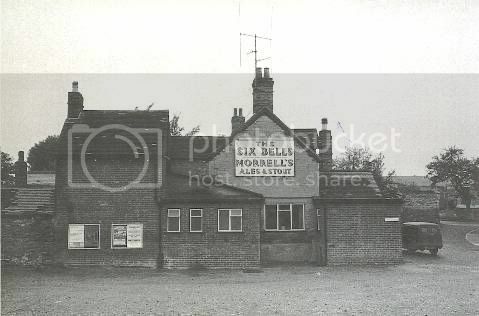 Those of you who visited the little web page for St. Mary's that I put up last week found the "More Photos" page empty. Thanks to my friend Gary, that second page is no longer empty. He took a few photos and I have scanned them for the "More Photos" page. There is also a very nice picture of the Assumption window which for some reason will not scan clearly. So the Assumption window will have to be a surprise. Look for it at the back of the Church when you visit. Everyone talks about the weather. . . .
Il Santo Padre ha nominato Ausiliare dell’arcidiocesi di Los Angeles (U.S.A.) il Rev.do Sacerdote Oscar Azarcon Solis, del clero della diocesi di Houma-Thibodaux, finora Parroco della "Saint Joseph Co-Cathedral Parish" a Thibodaux, assegnandogli la sede titolare vescovile di Urci." The rest of the article is here but it is likewise in Italian. In sum, it says that the new auxiliary bishop for the Archdiocese of Los Angeles is a native of the Philippines, worked in New Jersey and is now incardinated in the diocese of Houma-Thibodaux in Louisiana. So far as is evident from the article, he's never even been to California, never mind the Archdiocese. His eminence apparently had no influence in Oakland - the new incumbent is from Detroit - no influence in Phoenix, part of his Metropolia - the new bishop is from Wichita - and now he seems to have had no say in who is to be auxiliary in his own archdiocese. This is nothing short of astonishing. I still have not seen Master and Commander, but it's on the list. Perhaps next week. I have read most of the Aubrey/Maturin series and am very much looking forward to the film in spite of ominous rumblings that Dr. Maturin does not receive his due. Bill White cites a couple of articles in his blog here concerning Patrick O'Brian, Aubrey and Maturin's creator. Neither are new, but I had not seen them before. Thanks, Bill, for the reference. O, If I had the wings of a swallow, I would travel far over the sea. . . . Your neighbor getting pretty smug with his inflatable church? Looking for a little help in the oneupsmanship area? We have just the thing: The Flying Cathedral. Poor Cardinal Mahony. All those millions of dollars spent on poured concrete when he could've gotten one of these babies at a tiny fraction of the cost. Thanks to Mirabilis.ca for finding this one. So far, old age isn't too bad. I'm kind of looking forward to calling someone a whippersnapper. The two people I've mentioned this to so far have both wanted to know if I actually took the discount. Of course, I took it. It's a discount. I'm even cheaper than I am old and broker than I am proud. If they'd offered a fat-and-ugly discount I would've taken that, too. Thou sittest in heaven, the white love of the Gael. be provided, as well as a light supper afterwards. Address: 321 Tenth St., Huntington Beach. The Mass is scheduled to begin after the procession at approximately 7:15 p.m. I played with a couple of other guys for a wedding reception this afternoon at a posh restaurant in downtown Long Beach. Finally, an indoor gig. Or so I thought. We played outside in the rain (almost -- there was a small awning) while the guests arrived. Then piped the bride and groom into the reception and had a nice meal. The piping photo today is a shot of the finale at the World's in Glasgow. The above was the text of the radiogram reporting the air raid on Pearl Harbor (including the typo. It wasn't a check-your-spelling kind of day.) For my generation, the question is "Where were you when you heard the news that President Kennedy had been shot?" For my parents' generation, the question was "Where were you when you heard about the attack Pearl Harbor?" 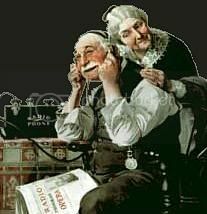 [My mother was washing the dishes after Sunday dinner while her mother listened to the radio. I can't remember my father's answer.] 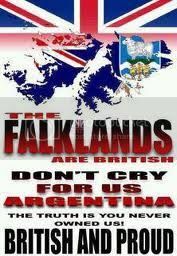 This is the 62d anniversary of that attack. The next day President Roosevelt gave a speech to Congress that is remembered as one of the great pieces of oratory in American history. This site has the full audio text of the President's speech. "You to me are like Nicodemus," Mother Teresa once wrote Malcolm Muggeridge, "and I am sure the answer is the same -- 'unless you become like a little child.' I am sure you will undertand beautifully everything if you would only 'become' a little child in God's hands. Your longing for God is so deep. . . .Christ is longing to be your Food. Surrounded with fullness of living food, you allow yourself to starve." Apparently the Los Angeles Times is the latest media organ to discover that the Holy Father is not 45 years old any more. This article contains the startling news that the Pope is now an old man and not very well and is having the same sort of problems that old men who are not very well tend to have. This sort of thing has been making the rounds for the past, say, 5 or 6 years. This report, however, is on the front page of this morning's paper. One wonders what The Times is trying to prove here. That's an awful lot of nothing-new for the front page. TLS of the Summa Mammas wants to know what we have in the stack of books at the bedside. I'm going to take that question format as rhetorical. I only have The Imitation on the bed table and I often don't see it because Mary usually goes to bed before I do and I don't want to wake her. But there are just-begun, half-read, and almost-finished books scattered all over the house. I've been posting bits from "Ecclesiastes: the Book of Archbishop Robert Dwyer" for the past week or so. That's in the almost-finished category. "The Wife", the second volume of Sigrid Undset's trilogy "Kristin Lavransdattar" is sitting in the front room and that's a half-way through book. In the kitchen, there's Rex Stout's "And Be A Villain" and next to it "Let Nothing Trouble You: 60 Reflections Taken From the Writings of St. Teresa of Avila." These are both in the just-begun category. In the den/library/tv room I'm having another read through of Richard Doherty's "Clear the Way! A History of the 38th (Irish) Brigade, 1941-47". Finally, tucked here, there, and everywhere are various numbers - and in various stages of read-through - of far too many periodicals. Off the top of my head: New Oxford Review, Carmelite Digest, Touchstone, Latin Mass Magazine, the Wanderer, The Spectator, Chronicles, and Lord knows what else. And sitting by this desk at the moment is "The Church Visible: The Ceremonial Life and Protocol of the Roman Catholic Church" by James Charles Noonan, Jr. This is not something really intended for reading through like a novel or a history. But it's still a great read and with your nose in this book you can shoot an hour without noticing it. All you ever wanted to know about the Mantellone, Crocia, and Soprana.
. . . .arrived the other day. As some (most? a few?) of you know, a Pastoral Provision allowing " former faithful of the Episcopal Church . . . [to]. 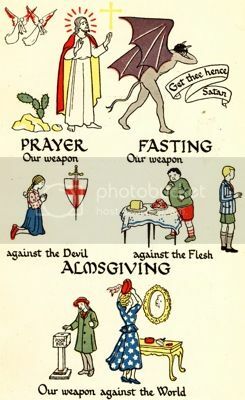 . . retain certain liturgical elements proper to the Anglican tradition" has been in effect in the United States for some 20 years or more. The liturgy in question includes a daily office based principally upon the 1979 Book of Common Prayer and a rite for Mass containing influences from the BCP, the traditional Roman rite and the Pauline Rite. The texts have been available on the web for some time now but it has only been in print in book form since last November. My copy arrived last week and it is a treasure. The Mass liturgy is, of course, only theoretical for a Californian. The nearest Anglican Use parish is in Texas. It would almost be worth it to go to Texas just to hear the ancient Roman Canon clothed in the reverent 16th century English. The book is very well set-up. It is hard bound with red covers. And enormous! It's 27 pages shy of 1,000. The print is in a pleasing type face, much the same as that shown in PDF format on the web. There is plenty of white space on the page, making it a pleasure to read. 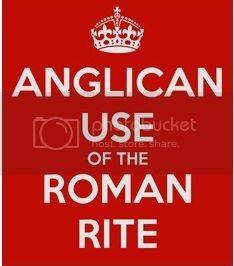 There are two "rites" for each service, a "Rite I" in what is usually called liturgical English, that is using thee and thou and other pleasing archaisms, and a "Rite II" using modern English. There is an official but not very informative website for the Pastoral Provision here. It never had much and it hasn't been updated in two years. Instead, look to the parish websites like Our Lady of Walsingham or Our Lady of the Atonement. A link to the Boston Congregation of St. Athanasius is at the left. Having said that you can find the text of The Book of Divine Worship on line, I now find that you can't. It used to be here. But as you can see, the PDF files have been taken down. But you can order the book from that site. If you're at all interested in liturgical prayer, it will be $30 well spent. An angle worthy of Orson Welles, and one you don't usually see, unless you're tuning chanters. As promised, I have put up some pictures of St. Mary's where our indult Mass is celebrated in Huntington Beach. These are scanned views taken from some old post cards. The church is very little changed, if at all. The site is here. The views of the sanctuary do not show it set up for Mass in either rite. For the traditional Mass, the red chair behind the altar is moved away and six large candle sticks adorn the altar. The Christmas scene is also somewhat out of date. Now that we have permission for the traditional liturgy that space where the creche is shown is needed for its celebration. The creche is now set up at Christmas time near St. Therese's shrine. "The state of public affairs is not inviting, and I rejoice that we take no daily paper." The state of public affairs has gotten no more inviting in the intervening 164 years, but we, apparently made of sterner stuff than the Reverend Mr. Arnold, take two daily papers. The Los Angeles Times is necessary for learning of events in the wide world outwith this neighborhood in southeastern Los Angeles County. It also prints fairly decent box scores given the appropriate season. Unfortunately the mighty Los Angeles Times does not deign to report, unless forced to, anything which might occur in the aforesaid southeastern Los Angeles County, it never having forgiven the City of Long Beach for setting up its own "Port of Long Beach" in opposition to the Port of Los Angeles, contrary to the recommendations - not to say the machinations - of The Times and the Chandler family, its quondam owners. Hence the necessity for the Long Beach Press Telegram, which pays very little mind to foreign carryings on, only reluctantly recognizes Washington, D.C. as having some relevance to local affairs, but will inform us if the Long Beach City Hall burns down or the local K-Mart is affected by the bankruptcy. Neither one of them is a particularly useful source of moral instruction. So this came as a surprise. Steve Lopez writes about the repulsive Abercrombie and Fitch organization and is not amused. Well done, Mr. Lopez.